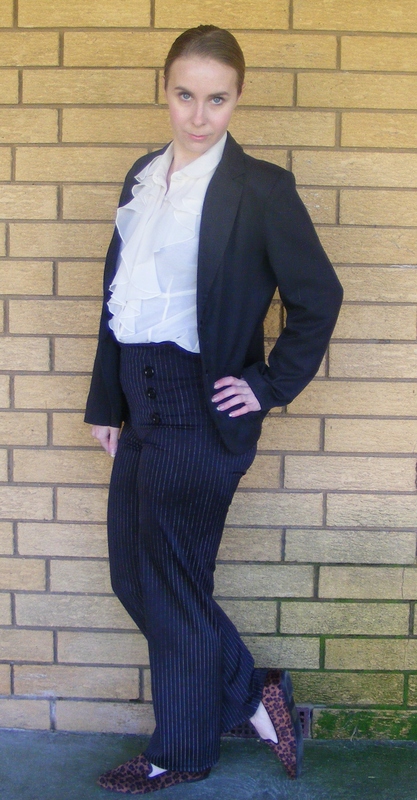 I was really feeling the Katharine Hepburn vibe when I put this outfit together. I adore androgynous looks, particularly when they feature some soft, feminine details. 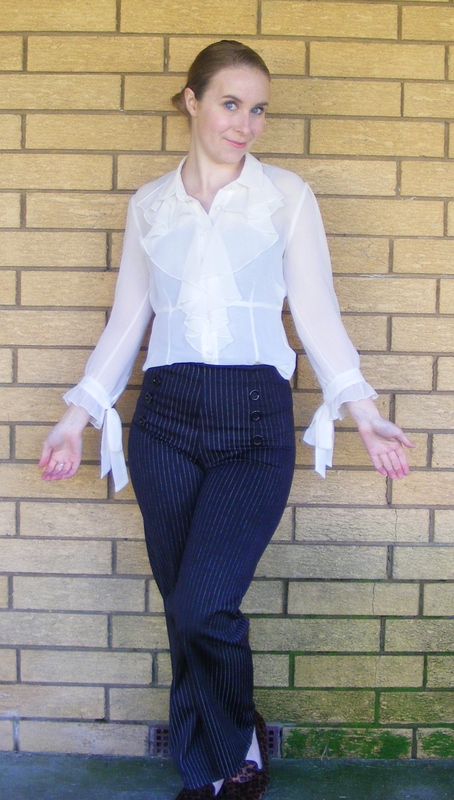 I got this ruffled shirt for my birthday, and I thought that it would look great paired with some dark trousers and a blazer. I have a lot of fun with androgynous looks. I’ll make sure that there are plenty of masculine pieces, such as trousers, a blazer and flat shoes. My hair will be slicked back and I’ll keep my makeup very minimal. To keep the overall look from being too mannish, it’s important to add some small feminine details. The ruffles on this shirt are soft and sweet. I’ve added a small, understated piece of jewellery and tucked my shirt in to emphasise my waist. Paying attention to the detail in androgynous outfits helps to keep the whole look polished and sophisticated. I left my makeup very natural, with just a light base and a hint of lip balm. I added shape and polish by contouring my cheeks and defining my brows. Flat shoes are a must for any girl-meets-boy-and-nicks-his-wardrobe outfit. 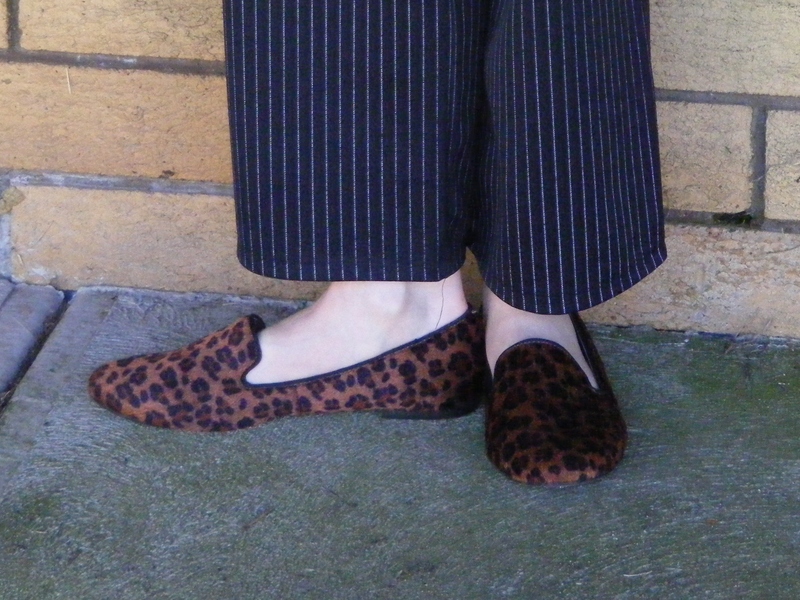 I love these loafers because they’re a somewhat masculine style, but the leopard print makes them a bit more whimsical and adds a feminine touch. Do you every play around with gender-bending looks?  Do you like to channel David Bowie or Annie Lennox? How do you keep your androgynous outfits from looking too masculine? 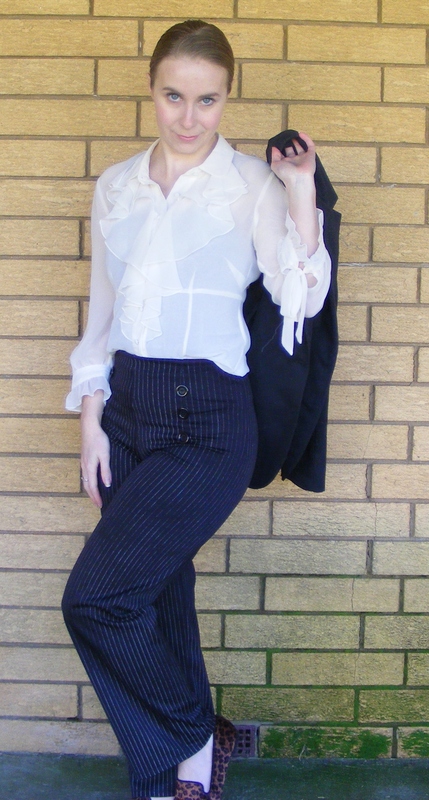 Wonderful outfit – very Katherine approved (I think Marlene Dietrich would have loved it as well). I tend to be an uber girly-girl most of the time, so I rarely veer into menswear inspired looks, though I do wholly enjoy and admire them on others. That said, I’ve been trying to muster the courage to wear a (men’s style) necktie for ages now. 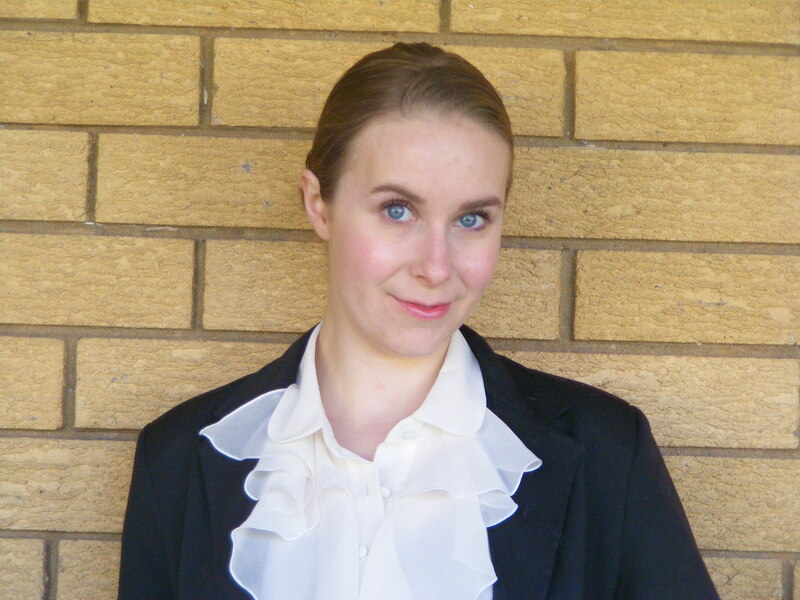 I love vintage looks (i.e., some of the Edwardian styles) that incorporated them and have always been curious about how a tie would look on me. Perhaps when the cold weather hits here again, I’ll muster up the nerve to finally do just that. Do it! I would love to see you put together an outfit that features a necktie.